?Who is best lawyer in Michigan for a spinal cord injury lawsuit? ?Can a spinal cord injury victim have home modifications done to his residence if he suffered paralysis in a Michigan car accident? As Michigan spinal cord injury lawyers, we strive every day to provide the highest quality legal service to each and every person we work with. 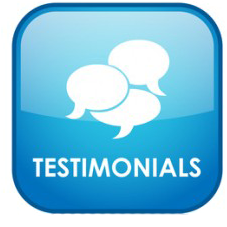 On the page below, you will find testimonials from real clients who put their trust in our law firm. Find out why Buckfire & Buckfire, P.C. is the most trusted personal injury law firm in Michigan! If you or a loved one has suffered a spinal cord injury in Michigan, it is important you speak with an attorney as soon as possible to go over your legal options. You may be entitled to a large settlement! Call us today at (800) 606-1717 and an attorney will answer all your questions and determine if you have a claim. The whole process will cost you nothing until you receive your settlement check! There is nothing to lose, so call today! Michigan spinal cord injury lawyers representing accident and injury victims in cases involving spinal cord injuries, quadriplegia, paralysis, and other serious back injuries from car, motorcycle, truck, slip and fall, work, and medical malpractice cases. Michigan lawyer and quadriplegic discusses how Buckfire & Buckfire, P.C. is the best firm in Michigan for handling serious spinal cord injury lawsuits. If you or a loved one have suffered a spinal cord injury, it is important you contact a lawyer right away. Call our award winning spinal cord injury lawyers today at (800) 606-1717 and tell us your story. We do not charge any fees unless you win your case, so there is nothing to lose. Call us today!